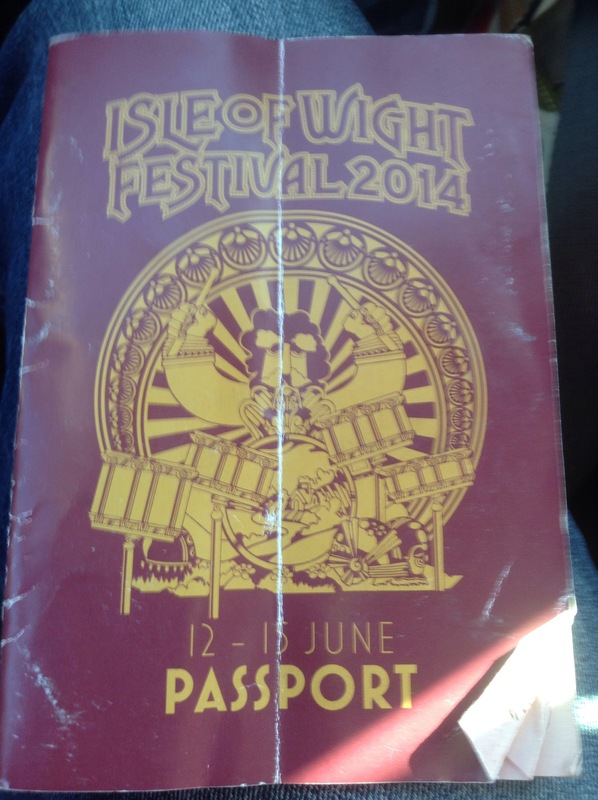 The Real Isle Of Wight Festival Review (officially unofficial) Day 5. It seems like an ongoing theme but I couldn’t sleep during the night. There was all sorts of carrying on in the tents surrounding us. I’m probably just getting old(er) but I don’t understand. You are at a music festival. Surely the idea is as follows: arrive, drink, listen/watch preferred bands. At end, go to bar, drink more, go home ( back to tentsville ) , crash out. I’m fairly positive it’s not supposed to go…. Arrive, drink, sleep, wake up as last band comes on, watch band, go back to tent, stay up till 7am, and repeat….. Which is exactly what it felt like was happening around our tent. It was like Ministry of Sound had set up a mobile DJ stand next door and every bugger wanted a go. Slight exaggeration but you get the gist ( is that spelt right? ). Of course, upon waking up a multitude of times during the night I was not best pleased when light sparkled onto our tent. More to the point I was positively fuming. Being of the aggressive ( passive ) nature that I am I burst out of our nylon door ready for fisticuffs with any little scrab still thinking it was party central. I found myself in complete silence. Disco city had hit the hay bales. To take the edge off of my temper I sniffed through my alcoholic leftovers and made myself a crafty little “Rumbuca”. I think Captain Morgan needs me on board to conjure up his new drinks. It was different. Neither nasty or nice. It made my lips comfortably numb. After breakfast, I shoved my head into the tent and could make out the shallow half snoring, half whistling Stubbly peacefully a bliss in the land of many zeds. I needed to diffuse my fury. Dispense of the anger. I decided to take myself off to the meeting point early. Not wanting to cause a fuss, or stir up a hornets nest of the tired little pups I wandered out of our area warbling U2’s Sunday Bloody Sunday at the top of my voice. Both topical and very annoying. Even stopped to tie my shoe next to the biggest culprit. laughable considering i had slip-ons, but hey, you live by the sword. I walked alone through some very quiet fields, past the stages and out onto the road heading into Newport. It was a nice peaceful stroll. Relaxing. A time for reflection. I reflected on the fact that under normal circumstances I would probably have a much more intense headache. Some might call it a hangover. I felt fine. Upon arrival at the pub I had picked up a newspaper. I sat calmly browsing the paper with a diet coke and Glenmorangie chaser. Minding my own business was the intention. It was working fine as well for a while. Then the idiot brigade appeared. . The sweater tied round the neck, wearing shades, chinos and deck shoes. perfect attire for a festival. The tallest and possibly brightest asked me if I knew of anywhere open, In between pointing out to his peers that there was nothing around and the place was dead, so I directed them politely towards the town centre. All things considered, it was 10am -ish on a Sunday, what exactly was he expecting? Pacha perhaps, The Hippodrome… . I hate being stereotypical but this young ( ish ) fellow was your archetypal upper class, public school educated, wind up merchant . He had all he needed. A group of witless branches hanging off of him, like the king oak he considered himself to be. Quite why he felt it necessary to turn his attention to the quiet, Guardian reading fellow just whiling away his time I’ve no idea. Yes that’s me, and ok, it wasn’t The Guardian, it was more than likely the Mail On Sunday. Well, I do love a bit of doom-mongering. If you want to know anything about the last days of Princess Di, the bad weather coming our way, or what the UK ISN’T doing to prevent terrorism the M.O.S is the paper for you. I was fairly conscious they were discussing me as they sat down at one of the pubs green plastic tables. . Even now I’ve no idea as to whether it was to provoke a reaction or they were just talking too loud. You could argue it was because I was drinking on my own first thing in the morning. It could have been for countless reasons but the bottom line is, I didn’t need to hear it. It was starting to light the wick of my already scorched candle. The question was how to deal with it. I could do the intelligent thing and ignore it. Alternatively there was a possibility of fronting them, but there was eight in the group. Four females and four males although two were debatable. I didn’t want the hassle but it was time to stand my ground. I necked my drink ( the chaser not the softy ), and stood up to wander over. Just to ask what the issue was. As luck would have it though, when I got to my feet so did they. Obviously they realised the danger they were in! As a tribe called Quentin mooched off in the direction of the non – eventive ( another one for Collins to stick in their dictionary ) town square I decided to take immediate action. I picked up a chair and hurtled towards them. It was all over in what felt like 30 seconds. The chair exploded as it crashed into the ringleaders face. Before the two transgenders realised what was about to take place I launched a roundhouse kick “Bruce Lee Sty-Lee”. Hitting one square in the jaw, he fell backwards onto his neighbour sending them both sprawling. Of course you don’t need me to tell you this isn’t really what happened. I allowed myself some deep breaths and shooed them away in a very low and unheard voice. A relatively warm day meant that a little earlier than normal the whole group were sitting around the table with a beverage in hand. Some were struggling more than others it’s fair to say. Johnnycakes was pushing through but was having a hard time getting through his real ale and grapes. Jack, looking fresh all things considered was masking his way through his first pint of Fosters, with randomly purchased strawberries. Who said we don’t do healthy…. And then it started. When you have been drinking solidly for 3 or 4 days it doesn’t take much to tip you right back over the tippled edge. The silly jokes , ( what’s brown and sticky ?, what’s pink and hard ? .. How many times do you have to tickle an octopus to make it laugh?..).. The odd conversations were rearing their softly tickled on the underbelly heads. How many otters could you fit in a suitcase ?.. Why aren’t butterflies covered in butter? .. How many deer glasses can we stack on a persons leg ?.. Deer should read beer, or dear, but that would be an expensive conversation. We ordered food. Seems like the normal thing to do. We even ate most of the food. Have I mentioned the size of the portions?… If you know the jolly green giant or you manage to catch Gulliver on his travels tell them to stop by and attempt a bash on munching their way through a Bargemans Rest breakfast or lunch!… Of course with a few beers washing down the food things were getting funnier by the millisecond. It’s at times like this I wish I could convey in a better text what happened next. Quick recap. The group of us camping were as follows: me, Stubbly – Tentacle 1. Jack “the cat”, Johnnycakes – Tentacle 2.the Lees, Lisa and John, the Shorters, Neil & Shelley, and last but by no means least the Prings, Tony and Julie, these 6 were all in base camp 3. The ladies known as GB and CJ ( wonderful attachments to the lives of myself and Stubbly ) would join us at the stages during the days. Stubbly and Tony were wasting away the time casually discussing the birds. Not that sort. Although it was a two legged type, the flappy type. In particular the two or three that were perched up on high eyeing up our morsels of left over food on our table. Having had a couple of ‘liveners’, what better way to initiate a bird tantrum than to goad this increasing number of peckers. Hamid had a salad. He didn’t, he wasn’t even there. Hamid? Who the f*** is Hamid!… Having had a salad Stubbly still had half a loaf of bread on his plate. Under normal circumstances I’m sure my friend would not do what he took it upon himself to do. Stubbly broke off not a small piece of bread, it was roughly the size of a bread roll and sat it on his head. Not wanting stubbly to be on his own, Tony joined in. They both sat there normal as you can be just chatting with two loaves on their bonces. The gulls were in flight. After a minute or so, the bread heads had their notices served. Two birds came in with a close swoop. Like guided missiles. Stubbly with a sharp “F*** that” ducked and swivelled in case they were returning with an attack from behind. Finally after a good three minutes the boys caved in. These gulls were not going to be denied. The dough was removed and things returned to some semblance of normality. We all had a few more beers and it was time to head back to festival. First up. Deap Vally. Two women, who formed the band in Los Angeles in 2011 ( according to Wikipedia). Both ladies are very very cool. Not my immediate cup of tea, they rocked and they rolled their way through a heavy sound and set. I hold my hands up, I thought they were superb. Next up were The Strypes. Now I’m not criticising them. Lots of people liked them and enjoyed the set they played including most of our group. They weren’t for me in truth. Stubbly and myself wandered off afterwards for a couple of ginger mojitos and we slipped in and out of the crowds watching bits and pieces. Passenger was extremely good according to my lovely wife. Fall Out Boy again are not really a band I would pay to see and so we made our way to watch The Horrors. I’m not sure what I was expecting but I was actually disappointed by this group. They sung songs I knew but with what sounded like no enthusiasm. Like the Specials Terry Hall on anti – depressants. The finale was Travis. I love the music of Travis. Thankfully for me they were awesome singing all the old favourites and the odd newbie. A couple of our group were making noises that Fran Healy was struggling a little with the high notes. Having not seen him before I knew no different. They sounded as good as a good band should be in my humble opinion. I was happy enough. That just left what was left of kings of Leon and I’m not their biggest fan. I’m not saying it was disappointing headline act. They are very much one of the biggest bands around these days, but personally for me the highlight had already been and gone. KOL were alright to be fair. They came they kicked arse they left. They played the songs people wanted to hear and as it seems to be the American way they displayed little in imagination when it comes to any sort of stage presence. We were pretty much altogether at this point and as most places were closing early we hedged our bets at trying to get a late drink in our glamping field. As I tried my hardest to distract the single guard, mainly by talking complete tosh the others just walked in. In fact it’s fair to say that I’d done such a job of making it so obvious that I was trying to distract him that he couldn’t be bothered to stop anyone going in. I could have told him I was bringing another 8 peeps into our field and he would have just shrugged his shoulders! That’s pretty much the way it was at IOW14. I’m writing this as I’m sitting in the car driving at a Pelicans pace ( I’m not driving numpties ), along the A3 on my way to IOW15. It’s June 10th. The sun has got its hat on and GB is in the driving seat. We have done our usual routine. I moan about her driving, her choice of radio station and am just generally a pain in the rear. She for her part, snaps back, drives how she sees fit, packs the car up with enough gear fo a month in the Baltics and puts Classic FM on just to p*** me off. Now we aren’t talking ( that’s normal don’t panic ). Virtually The same crowd are going this year, with one added bonus. Gilly will be there. A man with a wit drier than the Sahara Desert, and angrier than a parrot with a speech impediment. So here we go. Enjoy the party. Hopefully I will see you there! You’ll be pleased to know that no sparrows were injured or killed during the event, unless of course the Bargemans Rest lied about the Organic Chicken! … I’m sure they didn’t ! This year I have an iffy neck due to a car accident. I have more drugs with me than Boots!.. Surely I will get a decent nights kip this year!